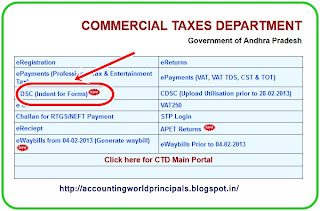 Recently the Andhrapradesh Commercial Tax Detp changes their website with new facilities. This is more helpfull for VAT Dealers. 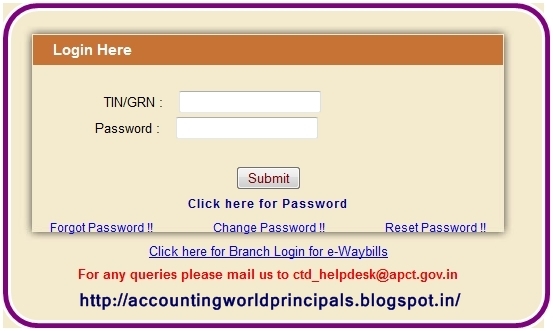 Enter your TIN Number and your E-Return password. Note: Don't enter your CDSC Password. The New designed website allows the following activities. 1. 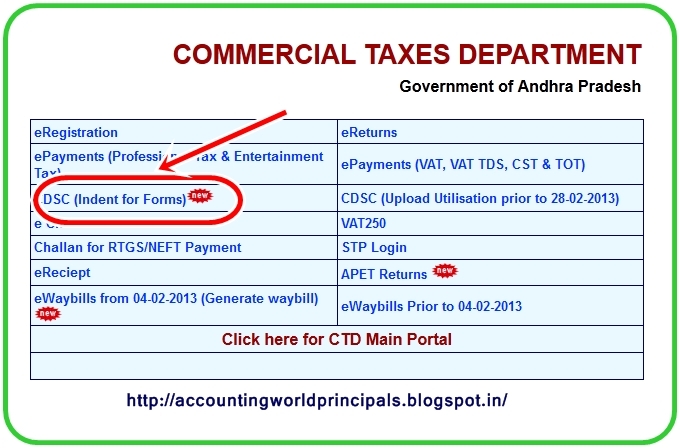 VAT Returns, CST Returns and Revised VAT Returns. 2. 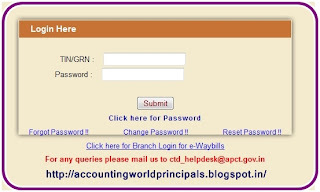 Create E-Waybills, Cancel E-Waybills and Reprint E-Waybills. 7. Forms (C/H/F) and Waybills Request Status. 9. Total VAT Input, Output and Payment Details.